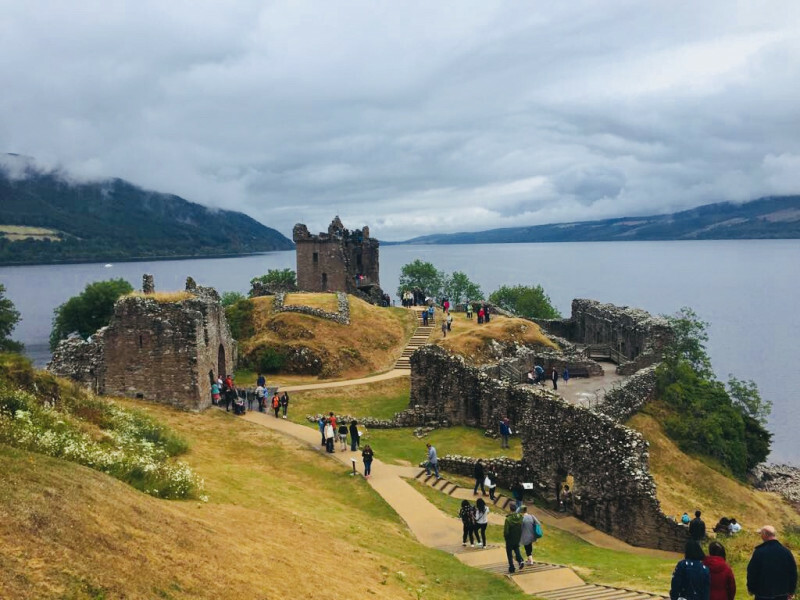 © Verena S. Mautner Plenty of tourists cometo Scotland every year to visit Nessie. 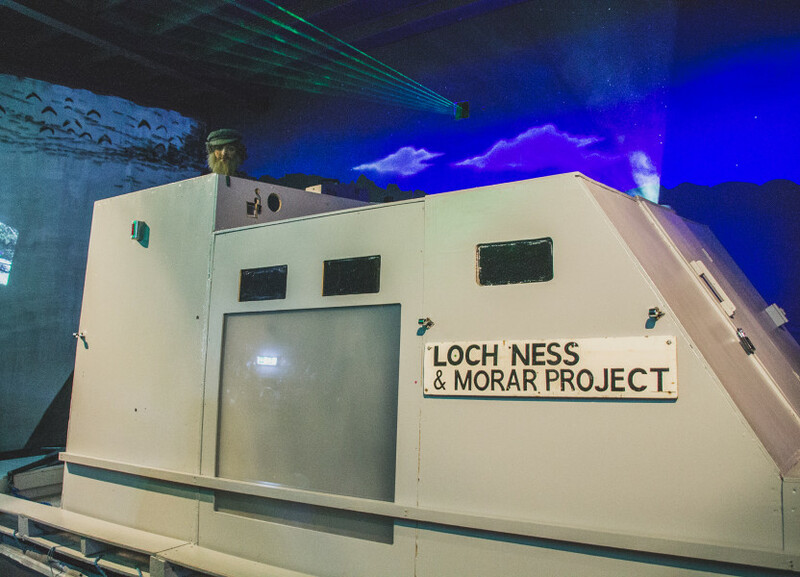 Loch Ness Centre and Exhibition in Drumnadrochit provides you with a special way of visiting Loch Ness. Along seven different rooms you learn everything about the loch's history, its nature, and its legend. The journey starts in prehistoric times and leads you through the formation of the lake itself and its mystery in chronological order. The exhibition is interactive and designed to make you feel like you are on a proper expedition. Jury Room and the Loch Ness Archives form the last bit. Listen to reports of eye witnesses, or browse through the archives and read original news reports. All those who have visited Scotland before know that a kilt, cashmere, and wool shop is an absolute must. 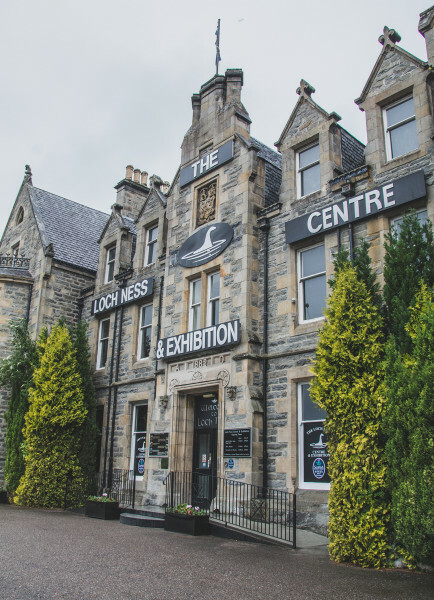 Furthermore, the centre has its own Whisky Shop where you can choose among over 1000 different Scottish whiskies, Scottish beers as well as a range of other local specialities, such as shortbread, fudge, or haggis. Naturally, Nessie has its own shop filled with toys, souvenirs, and books surrounding the loch monster. Moreover, a café is on site. Afterwards you can go on a cruise on the lake, and see if you can spot the monster yourself. The loch is approximately one mile away. Cruises take place hourly, they start right at the centre. There is a lot to discover around Loch Ness. Inverness, said to be the capital of the Highlands, is only 10 kilometres from the loch. Furthermore, a number of villages, such as Fort Augustus, Drumnadrochit, or Beauly, are situated around the lake. 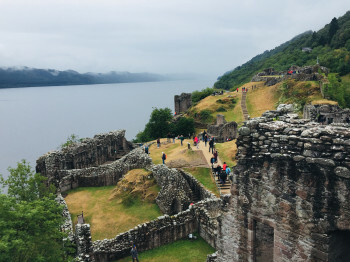 Loch Ness is also a good start or ending point for hikes through the beautiful Highlands. 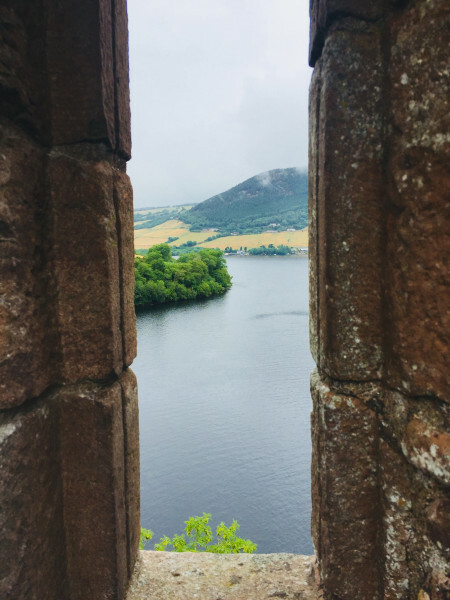 Urquhart Castle boasts a special view of the loch. You can find it right by the lakeside, only about 2.7 kilometres from Drumnadrochit, where Loch Ness Centre and Exhibition is located. © Verena S. Mautner Is this really Nessie? Loch Ness is famous mostly for the myth surrounding monster Nessie, who is said to live inside its depths. The first mention dates bake to the year 565. According to that, Columban of Iona is said to have saved a man who was being attacked by a wild beast in the river Ness. 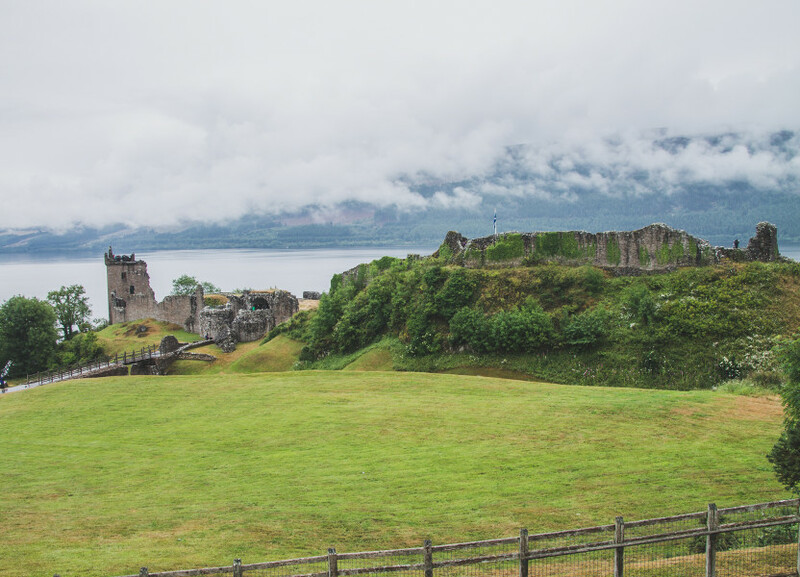 In 1527, Duncan Campbell reported the sighting of a terrible monster on Loch Ness's waterfront. Further sightings followed throughout the 16th, 17th and 18th century. The lake monster became famous only in 1933 though, when local newspapers first reported on it. A number of further sightings are mainly seen as deliberate or unintended hoaxes today. However, there are still many theories surrounding the monster's (non-)existence. Throughout the years, a number of more or less legitimate scientists have tried to get to the bottom of it. 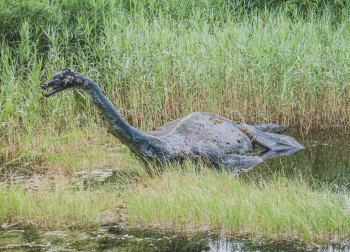 To this day, Nessie's residing in the loch has neither been proven nor refuted. 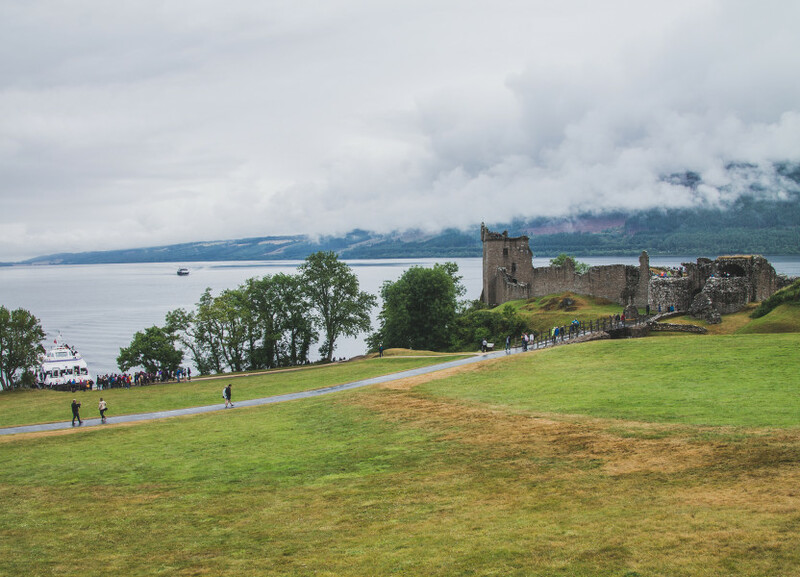 Hence, the myth lives on – and with it tourism at Loch Ness. Loch Ness is located approximately 10 kilometres south west of Inverness. There are no direct flights from Germany. However, there are regular planes going from London's airports to Inverness. Alternatively, you can fly to Edinburgh or Glasgow. From there you can continue on bus or train, or simply rent a car. Some of the villages around the lake can be accessed by bus, for other locations you may need a car.